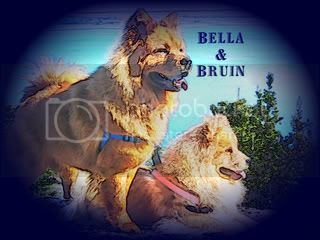 Re: MY CHOWS TURNED 2!!! Those are probably some of the best birthday pictures I've seen! Happy birthday, Buster and Twixie!! Happy, Happy Birthday to both of you, Buster and Twixie! What fantastic pictures, they look like they had a great time. Are they brother & sister? Happy 2nd Birthday. Love the cake and love the captions!!! - That it one fantastic cake!! Your pics are sooooo good. Hope they had a great day! Tyler, Jenna, Bella & Bruin. Thank you for all the greetings and kind comments! Yup, Buster and Twixie are brother and sister. Indeed, they had a great time! But I don't know who enjoyed the party more, them or me! Hahahaha! We have another "comic adventure" posted on the chow galley. What a great B-day cake! 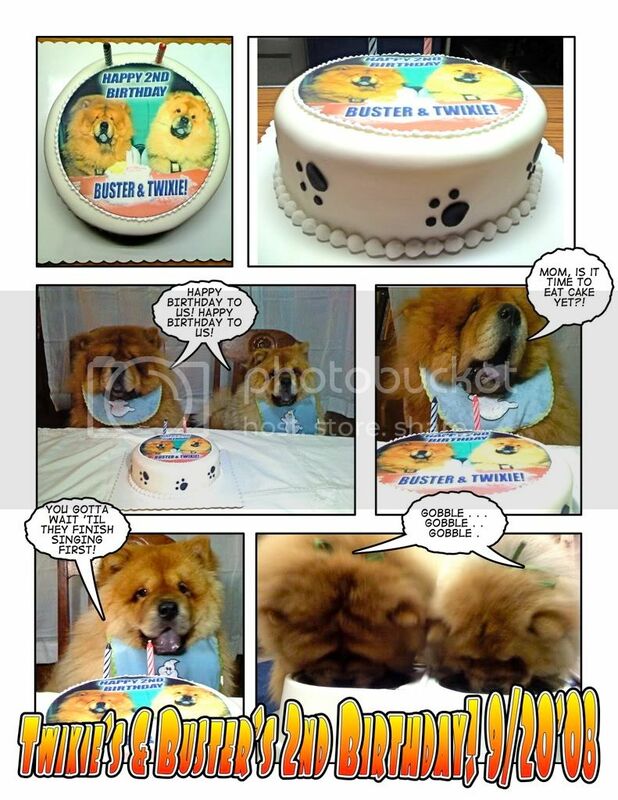 HAPPY BIRTHDAY BUSTER & TWIXIE!